Since I’m in Paris, which has some of the most beautiful and richly-filled flea markets in the world, I thought to be very apropos to put together a guide on how to navigate such interesting places. I have always subscribed to the idea that a house needs old things, pieces with history that bring soul. A home should be curated and flea markets are great places to find soulful pieces and treasured accents: usually with hundreds, if not thousands of stalls that include all sort of merchandise, oftentimes unedited and unclassified (although it will probably be presented to the potential buyer in a very compelling way with the objective of closing the sale as quickly as possible). With that in mind, note that the word “haggle” will always be the operative word here. Unless you think that you know you exactly what you are buying and that the price is so amazing that you will never come across an opportunity like this again, be prepared to negotiate – a lot. 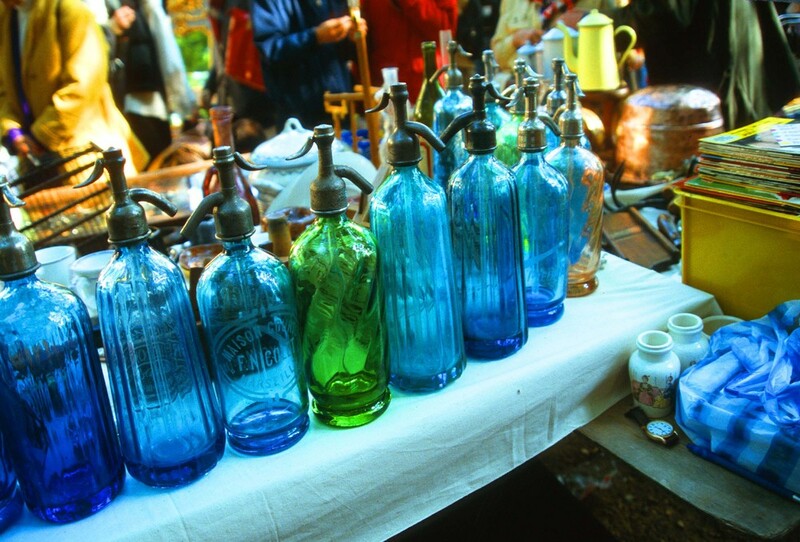 Bear in mind that many of the people who sell in flea markets (or the more upscale called “Antique Market”) are real antique dealers who know the history, period, provenance and raison d’être behind the pieces that they sell. Make sure that you inspect what you are buying: scratches and imperfections are the rule and are to be expected, but try to buy pieces that work for their intended purpose: tables should be stable, drawers should open and close easily, mirrors should not be cracked. Lighting, however, is different: many times, a lamp that isn't working and/or has been manufactured in Europe will require full rewiring. This shouldn't be a deterrent since the process isn't at all complicated if done by a good electrician. Le Marché aux Puces Sant-Ouen de Clignancourt (Paris): Although far from looking like a flea market, this place is really a dream for designers. 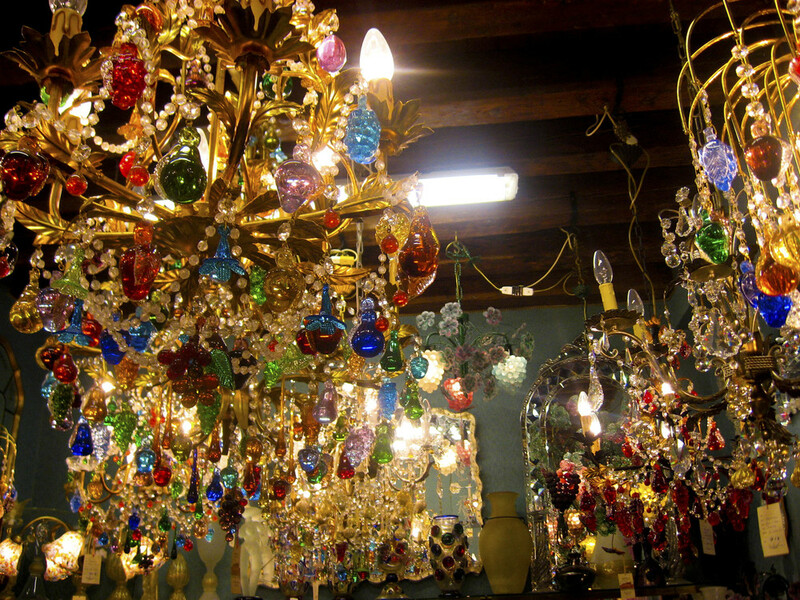 It is impossible not to be inspired by the more than 2,500 stalls full of treasures waiting to be discovered. The market is open on Saturdays, Sundays and Mondays and if you are serious about the shopping get there early. There is a very cool (and reputable) shipping service stall in the middle of the market called “Camard”. If you are planning on buying big items, get yourself a receipt pad, stickers and the “Camard” number that they will provide. It’s like opening a shipping account in advance, they get to pick up everything that you have bought and they ship anywhere in the world! 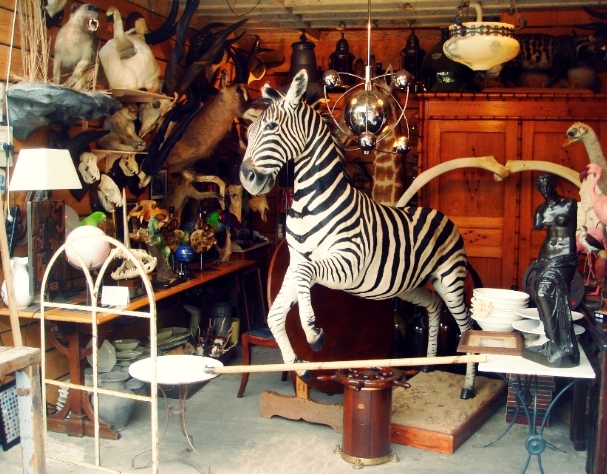 Do not miss going here if you are into antiques, bric-a-brac, funky pieces, chandeliers and wood furniture. Every time I go here I fantasize about the provenance of the items… and why not? It’s so hard to verify anyway. Camden Lock Market (London): This one is for the hip and cool. It used to be a timber yard until the beginning of the 70s and now is a place full of funky and creative people and artisans. If you love British-themed stuff and the Union Jack pattern, this is the place to go. Portobello Road (London): It’s the world’s largest antique market and the dealers here know their stuff. The stalls are impressive and the selection of merchandise ranges from 18th century bottles of perfume to royal commemorative tins. The best day to go is on Saturdays. El Rastro (Madrid): One of the busiest and most packed markets that I have been to, it takes up several streets of “La Latina” district and the goods are organized by street; in the Plaza del General Vara del Rey there are lots of furniture stands and in Calle Rodas is where the greatest concentration of antiques is located. It’s open only on Sundays and National Holidays. This is also one of the best markets to haggle! Spaniards have a great sense of humor and are so passionate about everything. Impossible to go here and not have a great time but beware of pickpockets as the ones from El Rastro have earned worldwide reputation for being the craftiest of all! Hell’s Kitchen Flea Market, West 25 Street Market and the Antique Garage (New York City): these three are what used to be the Antiques Annex in Chelsea and was later displaced by a high-rise in 2006. Although it’s not the same as it used to be, it still has a lot of pretty cool and interesting finds, leather trunks, rugs, funky plates, candleholders, mirror, lamps and plenty of inspirational furniture. I go here all the time and always find something. 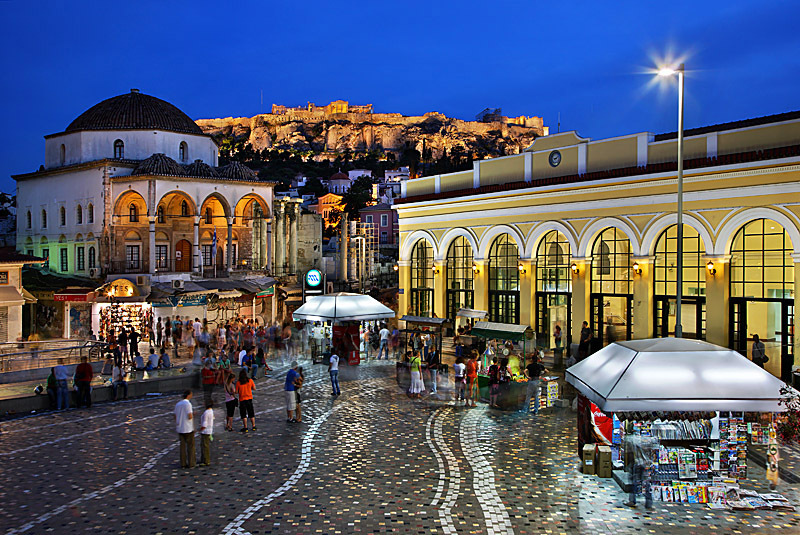 Monastiraki (Athens): I have been to Athens a few times and I adore this market. 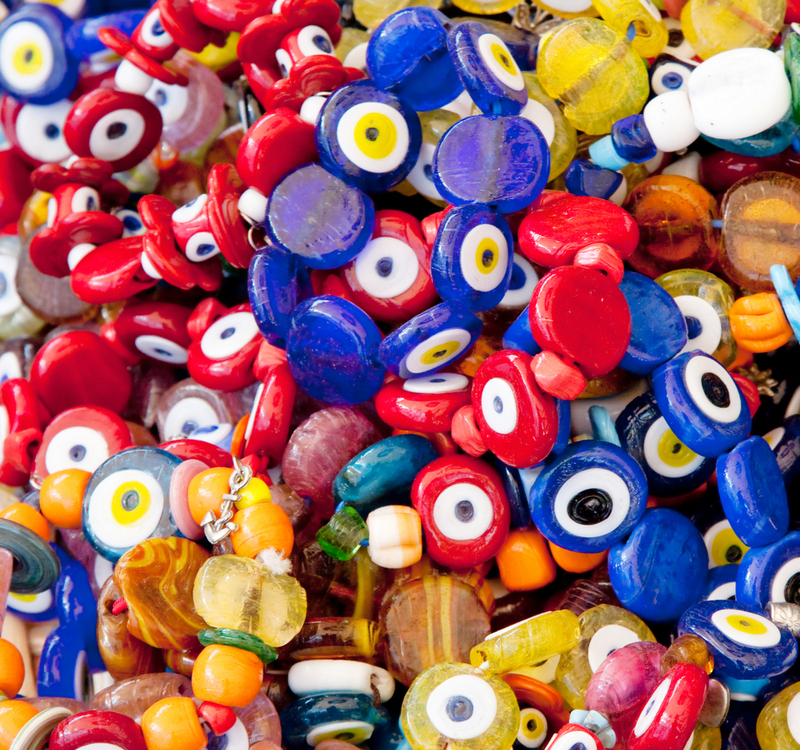 It feels very much like a Turkish bazaar and has a lot of Mediterranean and Middle Eastern finds: evil eyes in every form and shape, suzanis, kilims, colorful rugs, silver and copper goods, worry beads, you name it. The best day to go is on Sunday.